Look, I like the baby version the best. I like Christmas Jesus best. My lowbrow movie tastes aside, this comedic scene makes a powerful point. Christmas Jesus is easier. Christmas Jesus is safe. After all, how challenging can the story of a newborn baby really be? Well, it depends on which story you read. This year, millions of Christians around the world will read the opening of Luke’s Gospel in their Christmas services. Luke chapter 2 contains the fairly well-known classic version of Jesus’s birth: Mary wraps her infant son in swaddling clothes and lays him in a manger because there was “no room for them in the guest room”. Only two of the four gospels in the New Testament include the story of Jesus’s birth. And it is Luke’s version of events that has arguably had the most influence over Western art and music when it comes to depicting the birth of Jesus. Without Luke, we would not know the story of the angelic announcement to the unwed Mary that she would have a son. Without Luke, we wouldn’t have the story of shepherds visiting the manger or the heavenly host of angels singing. 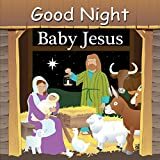 Angels, shepherds and a family huddled around an infant seem charming and make excellent fodder for nativity plays and Christmas carols. The problem is that in the ancient world the birth of Jesus was not a safe story nor a domestic one. It was highly political, a product of a time when religion and politics were inseparable. “In those days a decree went out from Emperor Augustus…”, Luke begins, reminding the reader that Jesus’s birth takes place under Roman Imperial rule in the occupied territory of Judea. Mary, Joseph and their firstborn are displaced from home precisely because of an imperial edict requiring them to travel for a census. As Jews living under Roman rule, they are part of a minority religious group – ordinary people, at the whim of a powerful authoritarian state, with fewer rights than a Roman citizen. Why might Luke emphasise the political setting? What is his agenda? Of relevance here is the Priene Calendar inscription celebrating the birth day of Emperor Augustus. Yes, that’s the same Augustus Luke mentions just prior to Jesus’s birth. This inscription, found in an ancient marketplace in Asia Minor, dates to around 9 BCE and lauds Augustus as a “saviour”, “benefactor”, “god”, and a bringer of “good news”. Written decades later, Luke’s Gospel echoes much of this imperial language. In the opening chapters, Jesus is called “saviour” and “mighty saviour”. The shepherds are told Jesus’s birth is “good news of great joy for all the people”, much like Augustus’s birth was good news “for the world”. The Greek term for “good news”, euangelion, is precisely the word used in the New Testament to announce Jesus’s birth. It is often translated as “gospel”, hence the title of these biblical books. Finally, like Augustus, Jesus is proclaimed as God (or, more precisely, son of God) and is said to bring peace to the world. According to Luke, this baby boy will upset the social order and create political upheaval. Poetic uses of language – of light dawning upon a people in darkness and the rich being sent away while the poor are lifted up – are further ways Luke portrays this new era ushered in by Jesus’s birth. Contemporary Christians are divided between those who see their faith as inseparable from their politics and those who’d prefer to keep the two discrete. Keeping politics out of the pulpit is the preference of this latter group. Yet Luke’s Gospel does not offer that option. Religion is political and always has been. What one believes, who one worships and even the stories one tells shape political views and values. Whether one believes Luke’s version of events, or not, is a matter of faith. It remains, however, that Luke’s Gospel, as a first-century literary work, has carefully crafted Jesus’s birth as nothing less than the arrival of a new political power whose rule will challenge the prevailing world order, redistribute wealth, end oppression and bring peace. It makes sense then, that at the end of the gospel, this Jesus would be put to death by the Roman state. “Tiny baby Jesus” is not as safe and cuddly as he might appear.